Take a look at these little guys, which are available for pre-order for $25 each. They're little Bluetooth enabled pucks which can be stuck to anything to attached to a keyring. Each puck has an LED, tiny speaker, a year-long battery, and connects to smartphones via Bluetooth. The free smartphone app then connects to the tag and tells you how far away you are from it. So you could stick one to your keys, or TV remote, or anything else, and then use your phone to locate it when it gets lost. 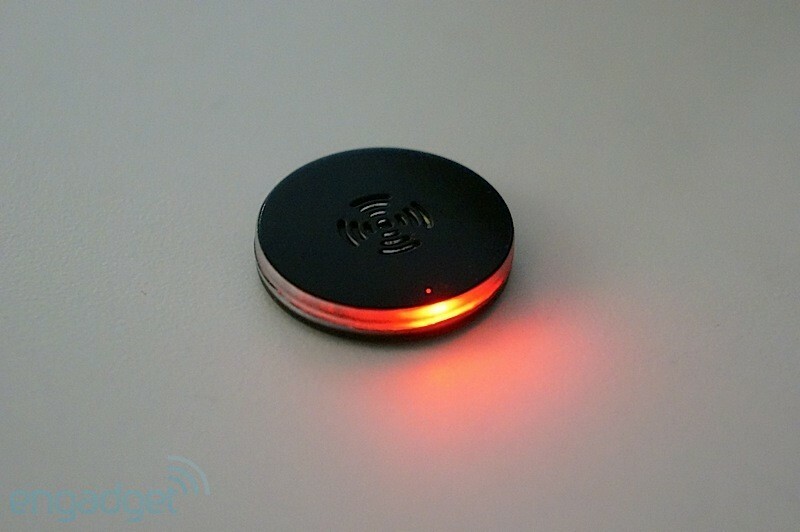 You can even use your phone to activate the blinking LED or speaker on the puck to help you track it down. Check out more pictures and a video of them at Engadget, and view the Indiegogo page to pre-order one. They're expected to ship in a few months. I personally could use a several of these. I hope they actual reach retail availability...almost everyone I know could benefit from one or two of these.